Halloween. Dangling glow-in-the-dark skulls and cut-of limbs hanging from the mailbox. It’s a classy holiday indeed. 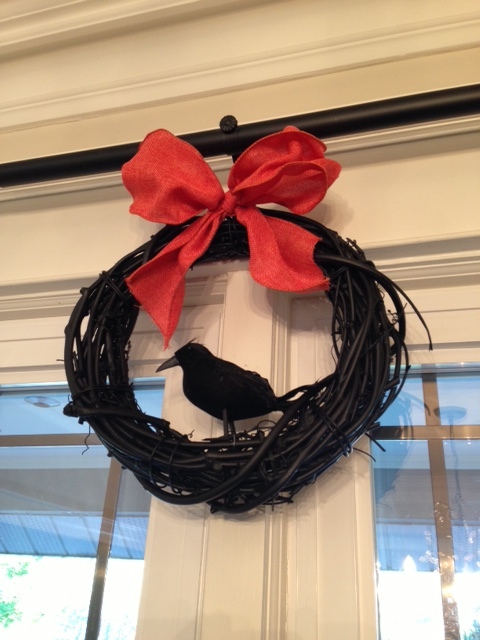 For those who want to create some decor that’s a bit more subtle, this Black Bird Wreath is the way to go. This is another simple craft that we can all manage and won’t break the bank. We are talking 15 minutes of work (and one hour drying time). You won’t need any tools so we could not make this any easier. 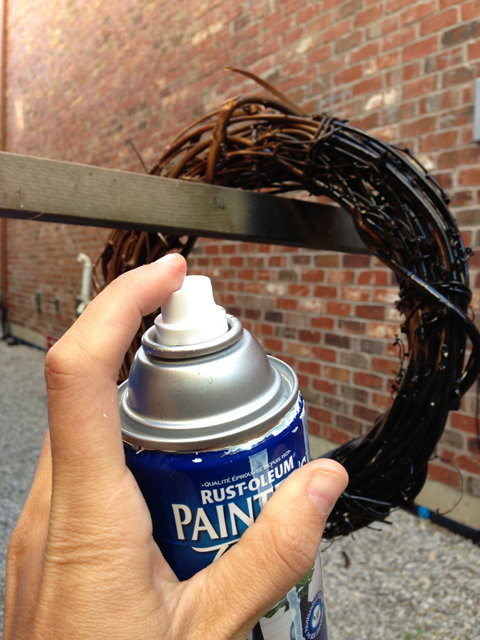 Spray paint your grapevine wreath. Mine was an old one I picked up from the street 2 years ago (recycle & up-cycle to the max) but I have also seen these a few days ago at Walmart for the friendly price of $4.94. The black spray paint was from Home Depot (Painters Touch 6.99). I used a matte paint because I think it looks a bit classier. 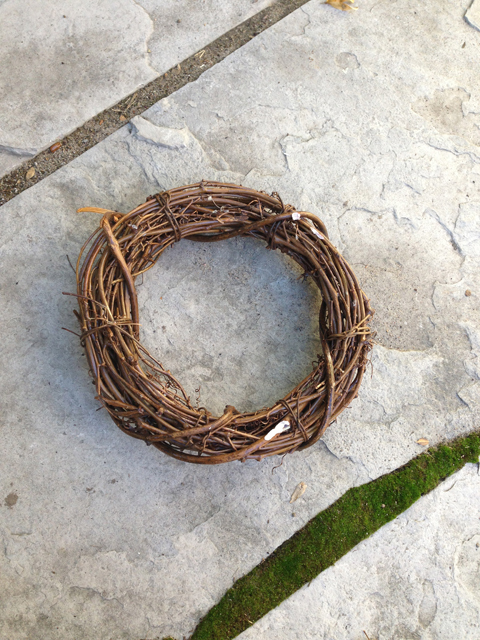 Tip: hang the wreath on an old stick for easy spray access and drying. Attach your black bird. Mine I purchased at Dolarama for $1.25. 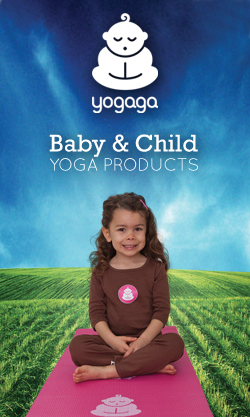 The ribbon is optional. 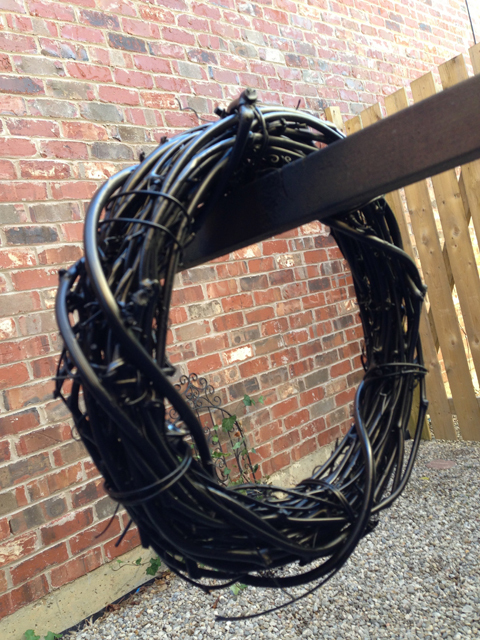 I actually thought the piece without the ribbon works in a clean and understated way. Ribbon from Walmart, where I splurged by 4.95 on this fancy burnt orange super-wide ribbon.